Illinois has removed from its Medicaid rolls this year more than 60,000 people who didn't qualify for the government benefit. That's an astonishing number, and it appears there are still many people getting benefits who don't qualify. 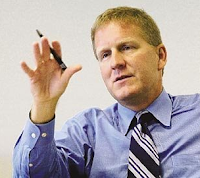 A contractor hired by the state is churning through hundreds of thousands of questionable Medicaid accounts, part of a state effort to save the enormously expensive health care program for low-income people. 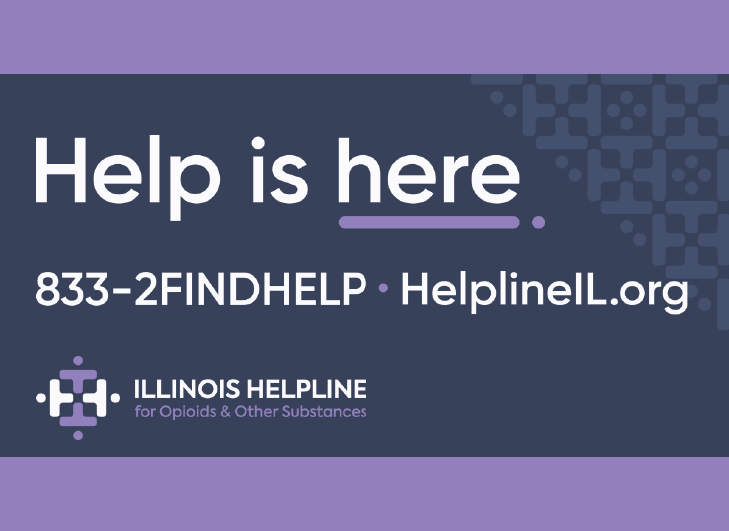 We've strongly backed this effort, which had bipartisan support in the Illinois legislature. Every dollar spent on people who are ineligible for benefits — some of them don't even live in Illinois — is a dollar not available for essential state services. Now this vital scrub of Medicaid is in jeopardy, thanks to a grievance filed by AFSCME, the state employees union. 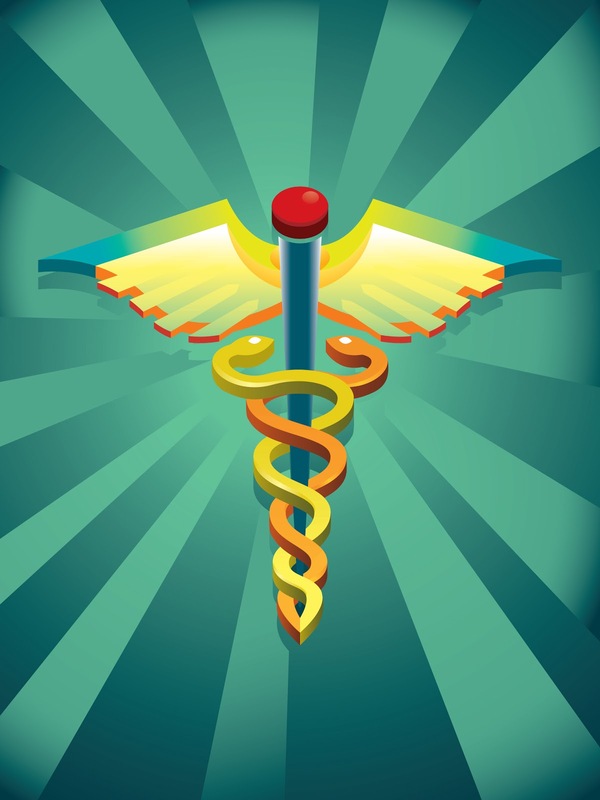 An arbitrator recently ruled that the state couldn't hire the contractor, Virginia-based Maximus Health Services Inc., to do the job. The work should be done by the state's union workforce, ruled the arbitrator, Edwin Benn. There was standing room only as Illinois’ pension conference committee met for the first time Thursday in Chicago. The bipartisan 10-member committee comprised of State Senators and State Representatives has been tasked with producing a compromised bill that enacts meaningful reform to the worst funded pension system in the nation. The committee heard testimony from state agencies, the business community, advocacy groups and unions who pleaded their cases and offered their positions and priorities to be read into the record. 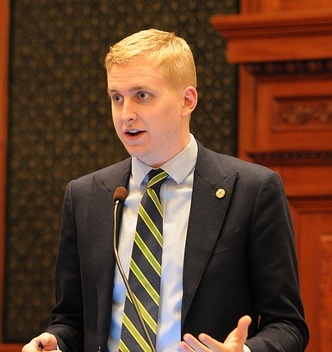 representative’s remark from the Fitch credit rating agency, that Illinois currently has what is equivalent to a junk bond rating for a corporation because we have failed to enact meaningful pension reform. Despite recent reports that the conference committee would clear the slate of previous pension proposals, most of the testimony offered yesterday was geared around components of Senate Bill 1 and the union-backed Senate Bill 2404. Senate Bill 1 has passed the House and Senate Bill 2404 has passed the Senate, but neither bill has advanced in the other chamber. It was established yesterday that Senate Bill 1 goes further in savings than Senate Bill 2404. Governor Quinn has tasked the pension conference committee to produce a compromised piece of pension reform legislation by July 9 when session reconvenes. It remains unclear if that will happen. 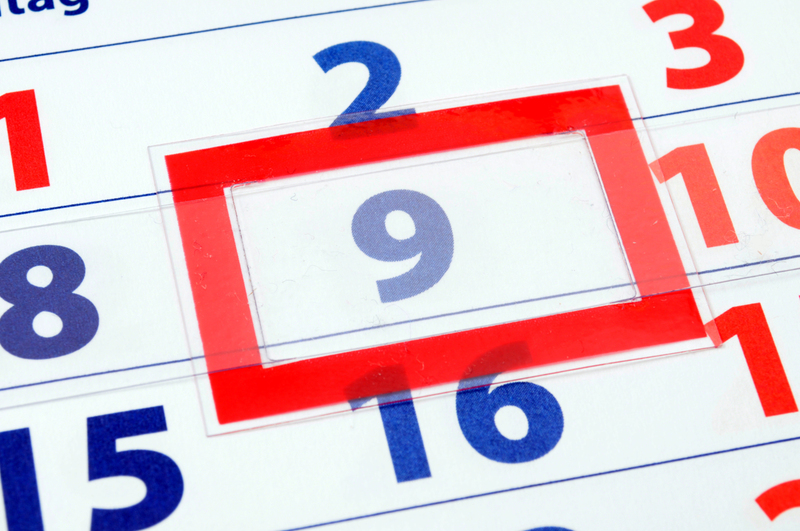 The pension conference committee will reconvene in Chicago on July 3rd at 9am. Concealed carry has been a debate in Illinois for years. Lawmakers now just want Governor Pat Quinn to pull the trigger. 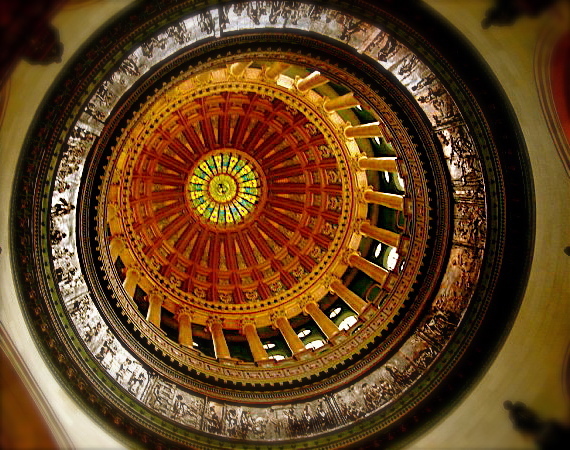 Many in the general assembly view Madigan's latest extension request as a delay tactic. "We had broad bipartisan support for this bill. It sailed out of the house. It sailed out of the senate. 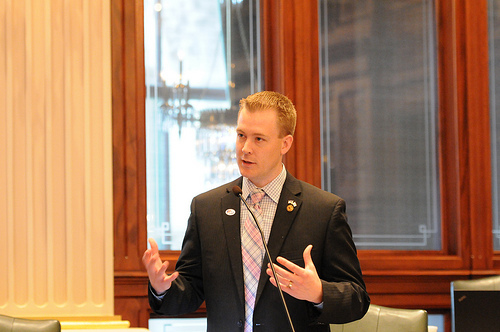 This is one of those rare opportunities that we should take advantage of bipartisanship and sign a good bill," explained Illinois State Representative Tom Demmer. 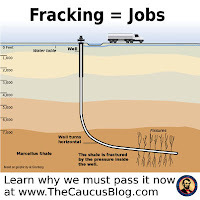 Governor Pat Quinn has signed a bill which will allow Hyrdraulic Fracturing, or 'fracking,' in Illinois. 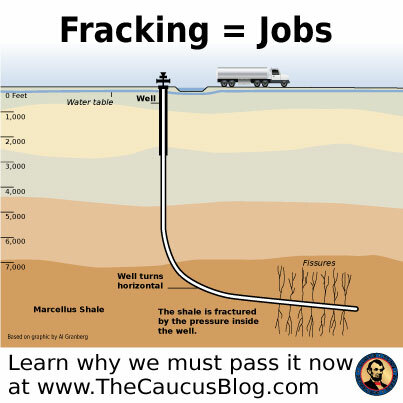 Fracking is the process by which natural gas is extracted through the fracturing of shale rock. The process is controversial, with opponents saying it pollutes groundwater, while proponents say the process is safe. It's also very profitable. In a news release, the Governor said, " The new law enacts the nation's strongest environmental protections for hydraulic fracturing and has the potential to create thousands of jobs in Southern Illinois," where large amounts of natural gas reserves can be accessed through fracking. It also holds the potential to add millions of dollars in tax revenue. Scott Picken at MyStateline.com has the rest of the story. General Assembly prepares for special session. The meetup, called by Governor Pat Quinn on Thursday, June 6, and scheduled for Wednesday, June 19, is being urged to deal with outstanding Illinois State budget and pension issues. 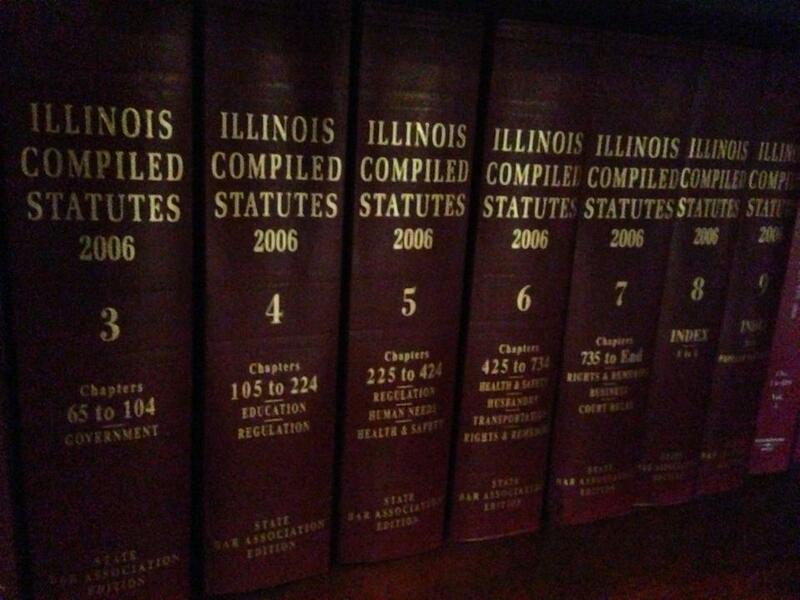 Illinois continues to labor under the burden of unpaid bills currently totaling $5.8 billion, although this is significantly lower than the $8.5 billion of past-due bills in State files in April. Actions by House Republicans, when the FY13 budget was passed in spring 2012, were influential in ensuring that almost one-third of this past-due bill load would be paid down before the end of the fiscal year. With the unfunded liabilities of the State’s managed systems continuing to grow at an estimated rate of $17 million/day, pension issues will be at the center of the special session; but the House and Senate are not constitutionally bound to any single subject and could deal with other questions as well. In particular, if Gov. Pat Quinn issues any vetoes prior to the special session, the General Assembly could take action to override these vetoes in one or both houses. 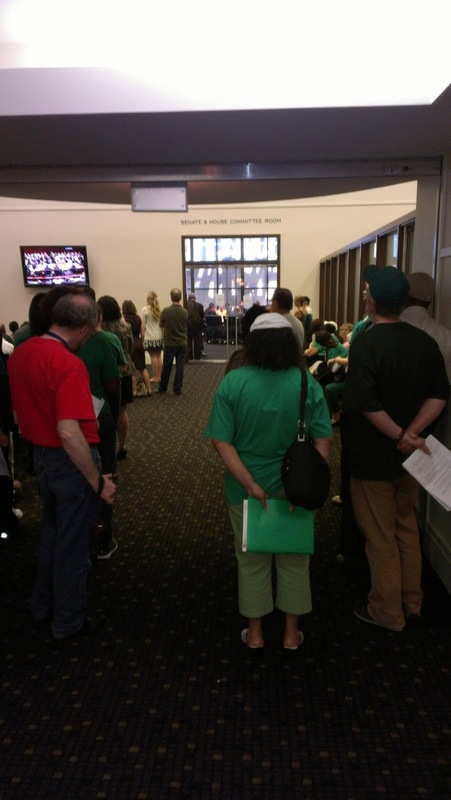 Either or both chambers could also discuss and debate various issues, such as gaming expansion, that were not resolved when they adjourned in May. House Republican college affordability plan released; would provide additional middle-class tax credits and deductions to students’ families. HB 3640 (Cross) and HB 3641 (Brown) were introduced on Wednesday, June 12. The Cross measure, lead-sponsored by House Republican leader Tom Cross (R-Kendall Co.) creates a new income tax credit of up to $1,000 per year for most families, if the family is the principal means of support for a full-time or part-time student in an accredited Illinois institution of post-secondary education (i.e. a college or a university). A middle-class tax credit, this benefit would only be available for households declaring adjusted gross income of less than $150,000 per year. This week, caucus members joined House Republican Leader Tom Cross in unveiling a legislative package designed to make college more affordable for Illinois families. 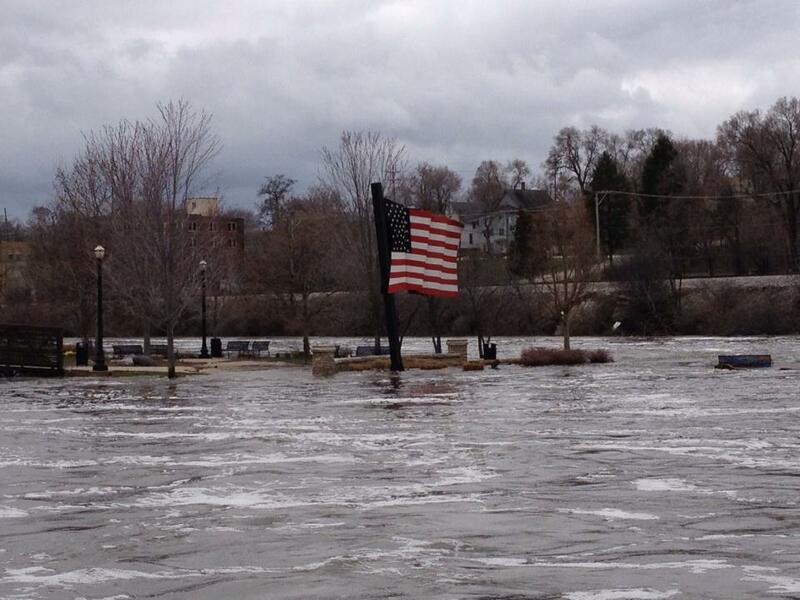 FEMA today approved another 15 Illinois counties for federal Public Assistance (PA) disaster aid to reimburse local governments in those counties for expenses incurred from the spring flooding. 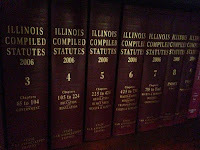 The newly-declared counties are Calhoun, Carroll, Cass, Greene, Hancock, Lawrence, McDonough, Monroe, Morgan, Peoria, Schuyler, Scott, Shelby, Tazewell and Will. 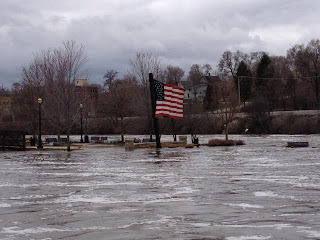 Local governments and certain private non-profits in those counties may now apply to FEMA for reimbursement of up to 75% of their costs related to this spring's flooding. Persons affected by the flooding who live in declared counties may apply by visiting www.disasterassistance.gov, by calling 1-800-621-FEMA or by visiting a FEMA Disaster Recovery Center. FEMA reports that so far it has disbursed more than $70 million in aid to local governments in the 24 counties already included in the disaster area. More than $92 million in federal assistance has been approved for 34,800 individuals and households which suffered damage from the flood. As the cost of college tuition continues to rise at Illinois state universities, college students are being lured to out-of-state schools with lower tuition rates. 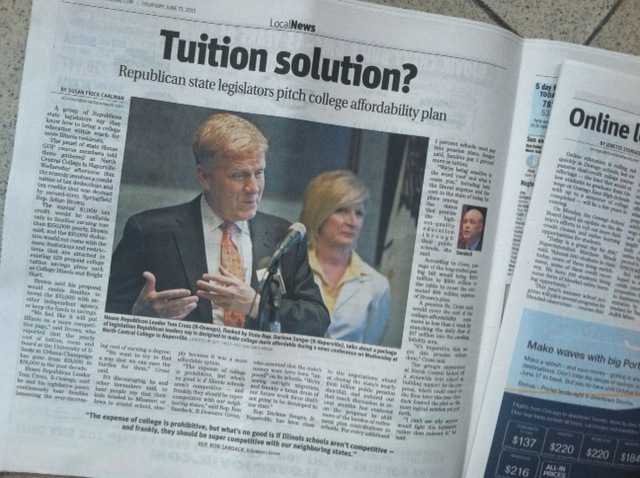 Illinois' state universities feel the need to increase their tuition and fees to supplement the loss of revenue caused by past state budget cuts that started with the Blagojevich administration. 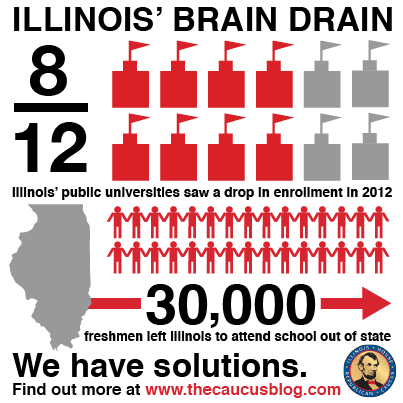 The result has been a drop in student enrollment at 8 of Illinois 12 public universities. The brain drain is real and will only get worse if we don't act now to help Illinois students and their families with the cost of quality education, right here in Illinois. The House Republicans have a solution. This week, several members joined House Republican Leader Tom Cross in unveiling a legislative package designed to make college more affordable for Illinois families. 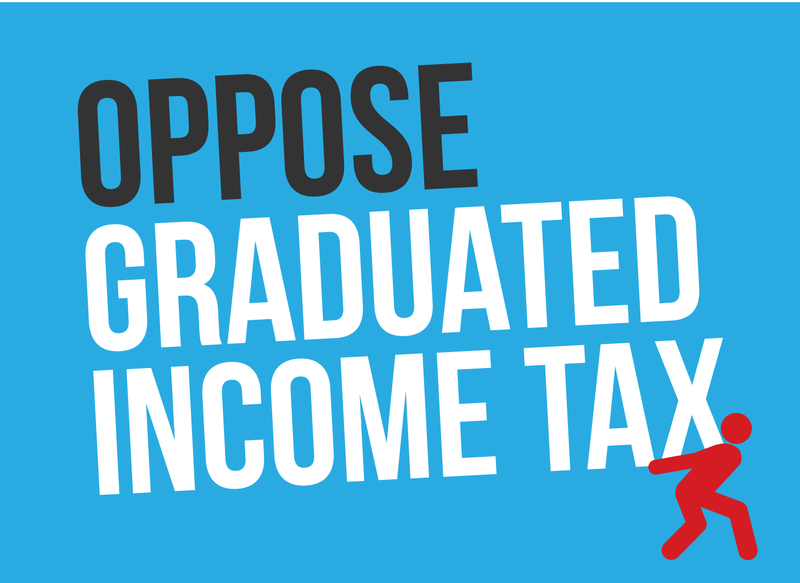 The College Affordability plan provides for a tax credit and a tax deduction that together will result in real savings for Illinois families and at the same time keep the best and the brightest right here in Illinois. 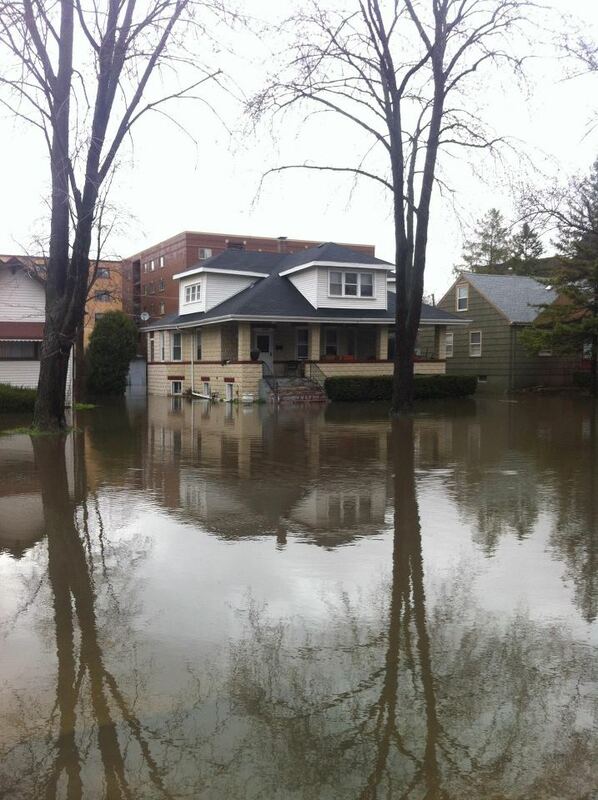 Over the weekend, 24 Illinois counties were approved for federal Public Assistance (PA), or reimbusements to local governments for costs relating to the spring flooding which struck throughout the state. A total of 33 counties have now been approved for Individual Assistance (IA), or aid to residents who had suffered losses from the flooding. 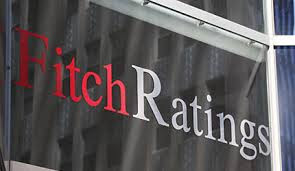 Fitch, Moody’s cut State’s bond rating again; reduction is described as response to General Assembly’s May 2013 inaction on pension reform. The Fitch reduction, announced on Monday, June 3, was from “A” to “A-”, and the Moody’s reduction, announced on Thursday, June 6, was from “A2” to “A3.” Although these letter grades do not look to outsiders like bad letters, bankers and other professionals treat these letters as bad signs when they are displayed by a public-sector entity. The Fitch and Moody’s ratings reductions further intensified the reputation of Illinois as the state with the lowest credit rating in the nation. States traditionally pay among the lowest interest rates when choosing to borrow money, because they (unlike private borrowers) enjoy an unlimited right to replenish their coffers by raising taxes. 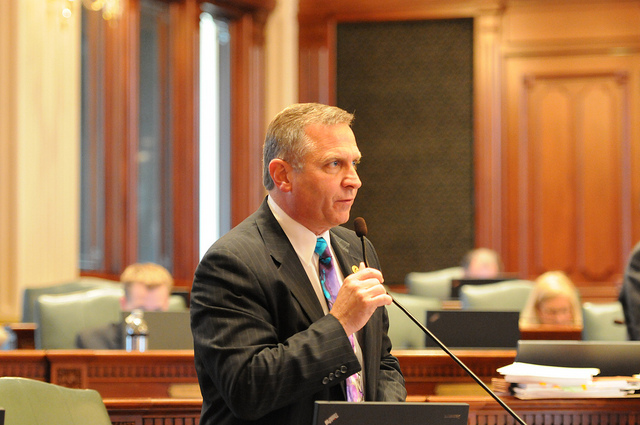 On Wednesday Illinois State Representative Mike Bost sent a letter to Governor Quinn requesting him to sign legislation to enact concealed carry in Illinois. If signed by the Governor, Illinois would become the 50th state in the nation to place some form of concealed carry law on the books. In December 2012, the U.S. Seventh Circuit Court of Appeals reaffirmed the Second Amendment by throwing out the State of Illinois’ concealed carry ban. As requested by the Court of Appeals, the Illinois General Assembly approved bi-partisan legislation outlined in HB 183 to allow law-abiding citizens the right to conceal and carry a firearm. Read the rest of the story. 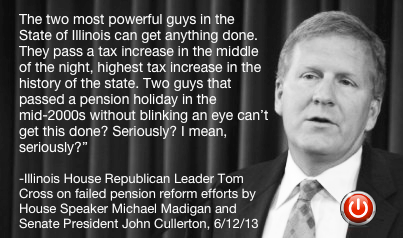 "Our pension crisis is so severe that Illinois’ credit rating has been downgraded twice in one week. 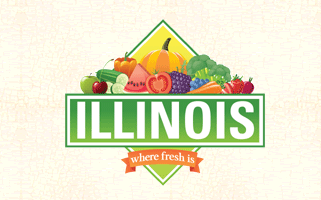 Inaction is costing Illinois taxpayers $17 million a day. 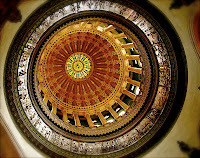 The sooner the Illinois General Assembly returns to Springfield to get the job done on pension reform the better." (AP) — The 7th U.S. Circuit Court of Appeals yesterday gave Illinois an extra 30 days to lift its ban on concealed weapons. The court acted on Attorney General Lisa Madigan's request to allow Gov. Pat Quinn more time to review legislation passed last week. However, on issuing its ruling, the court said it would not issue another extension of its mandate past the new deadline of July 9. Madigan said the Sunday deadline would have shortened the time set in the state constitution to allow Quinn to review legislation. The constitution says after the Legislature sends the governor a bill, the governor gets 60 days to decide whether he'll sign it. "I'm reviewing that," Quinn said yesterday of the gun bill. He said he agreed with Madigan filing the petition. Read more of the story from Crain's Chicago Business. General Assembly enacts $35,446,000,000 State budget. The spending plan for fiscal year 2014, which will begin on July 1, 2013, increases the drain of the State’s checkbook by more than $360 million above levels anticipated at the beginning of the 2013 spring session. Swelling expenditures for medical care, including medical care for Medicaid public aid recipients and State employees/retirees, are pointed to as the reason for the out-of-control expenditure level. While the General Assembly took legal steps in spring 2012 to reduce future Medicaid expenditures, the Governor’s administration did not fully implement these steps in practice over the following 12 months that made up FY13. Meanwhile new, unanticipated caregiving expenses, reflecting more expensive diagnostic practices and the addition of newly invented and approved pharmaceuticals and medical treatments, continue to be presented by patients and their caregivers to the Medicaid system and the State. The budget, which was contained in a package of seven bills numbered HB 206, HB 208, HB 213, HB 214, HB 215, SB 2555, and SB 2556, plus the budget implementation bill SB 1329, was approved by votes of the majority party in the House and Senate in the week ended Friday, May 31. Republicans were not able to support these budget bills. The bills were sent to the Governor for his approval. 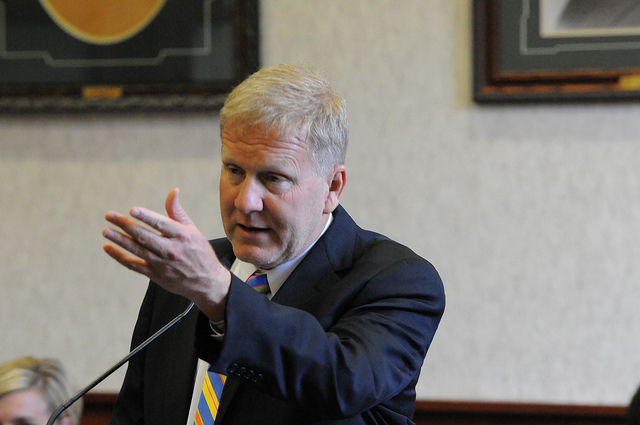 General Assembly, in final day of 2013 session, enacts concealed-carry bill. The concealed-carry language was approved by both houses as HB 183 on Friday, May 31. The House vote was 89-28-0.